James Remar and Damon Gupton have joined the cast of Black Lightning for Season 1. 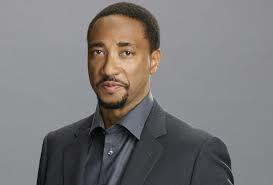 Actors Damon Gupton and James Remar have joined the cast of Black Lightning for Season 1! SAN DIEGO and BURBANK, Calif. — The excitement surrounding The CW’s latest addition to its DC Super Hero lineup was electrifying at Warner Bros. Television’s Black Lightning Comic-Con 2017® panel Saturday, July 22, as fans learned that two new characters will enter the beleaguered community where local hero Jefferson Pierce secretly fights crime as masked vigilante Black Lightning. Executive producers Salim Akil & Mara Brock Akil announced at the session that James Remar and Damon Gupton will light up the screen as two new series regulars when Black Lightning premieres midseason on The CW. Fans were also charged up to view a special sneak peak of the upcoming series.